Great page! Best organized review site I've seen. Love Beck Valley Books! I love how readers can click here to find books and reviews for a specific author. Well done! Beck Valley Tours is a class act group! I've always found Beck Valley Books both informative and easy to deal with . Unbiased, honest reviews. Love the new look of the website too. I am so pleased with for the excellent, well thought out and descriptive review of my second novel, The Fear of Things to Come. I enjoyed reading all of the detailed and positive comments about the book, knowing that it gives potential readers a real idea of what to expect. You are very professional, efficient and helpful every time I've had contact with you, so I've really enjoyed getting to know you and the high quality reviews and promotional work that you provide. My book was reviewed last year, but it's still listed here. It's wonderful to see that the reviews of The Witch's Salvation are still accessible with one click of the link. Thank you, Sharon. The detailed reviews of all my books are incredible! The reviewers and you, Sharon, do a such an fabulous job of offering rich, layered critiques without giving away the plots. Thank you, Sharon! Beck Valley is a fantastic resource for authors and readers! I wouldn't plan a launch without you! This site is one of the truly great as well as respected reviewers of independent publishers. It carries the 5 star rating of the Book Reviewer Yellow Pages and is listed as "highly influential for thrillers." All of us in the writing business know how hard it is to get attention. Beck Valley not only cares about us but its quality reviews draw significant profitable attention from readers in the all important EBook marketplace. I think the reviews from Beck Valley bloggers are a tremendous help for book buyers. They are detailed without giving away plot, and most importantly, honest. Sharon is one of the most organized people I've ever worked with and I plan to use Beck Valley Tours for every book launch. We were so pleased with our first book tour with Beck Valley for "If I Should Die Before My Dog" that we did a second tour. Sharon is wonderful to work with. Her honest reviews and amazing organization skills make an authors book tour easy and enjoyable. We highly recommend her for any author for booking a tour. What absolutely awesome news to hear, that's made our day, Congratulations !! I have done two blog tours with Beck Valley Books, one for my children's' book and the other for a personal development book. The tour was extremely well organized, the bloggers that BVB chose for our tour were a perfect fit, and the reviews were thorough, honest and helpful to future readers. 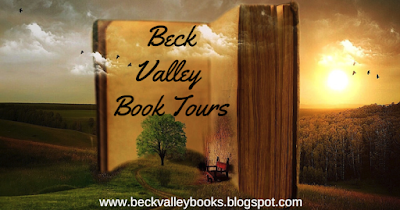 I would definitely work with Beck Valley Books on a blog tour or book review again. Charmaine Hammond, author On Toby's Terms, Toby the Pet Therapy Dog series, and, GPS Your Best Life (co-author). 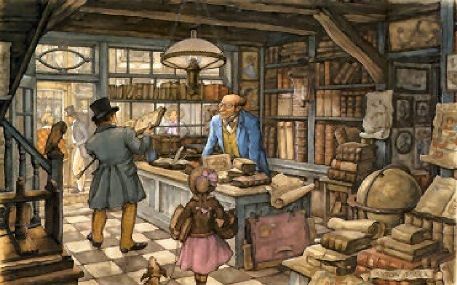 beck valley books are really cool..